Dams has launched its new Social Spaces website – www.SocialSpacesFurniture.com. Social Spaces is Dams’s collection of products for corporate breakout spaces, open plan offices, reception areas, meeting rooms, dining areas and much more, all designed and manufactured in the UK by Dams. The new website offers quick and easy access to essential product information, images and features while offering a more comprehensive understanding of the company’s services and manufacturing capabilities. The downloads section is a resource of 2D and 3D CAD files, images and catalogue sections, all available at the click of a button, with a mobile-friendly and responsive design to provide an optimal viewing experience on all devices. 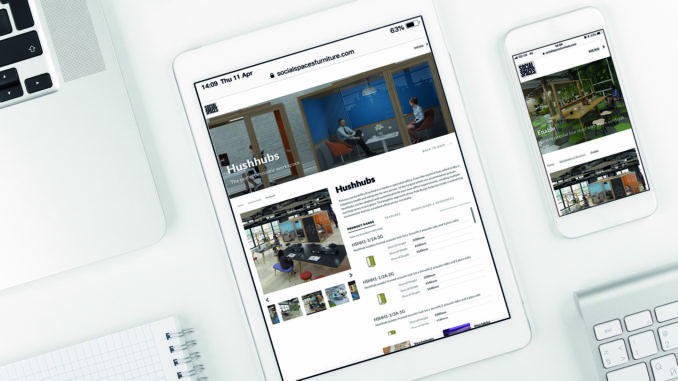 “We are thrilled to introduce our new Social Spaces website to our customers, partners and visitors who are looking to understand the breadth of our Social Spaces designer furniture products and services,” said MD, Chris Scott.